Degenerative brain conditions like Alzheimer’s affect more than 5 million Americans, and that number is only rising. The senior citizens in our lives need us now more than ever to help them stave off these awful diseases. 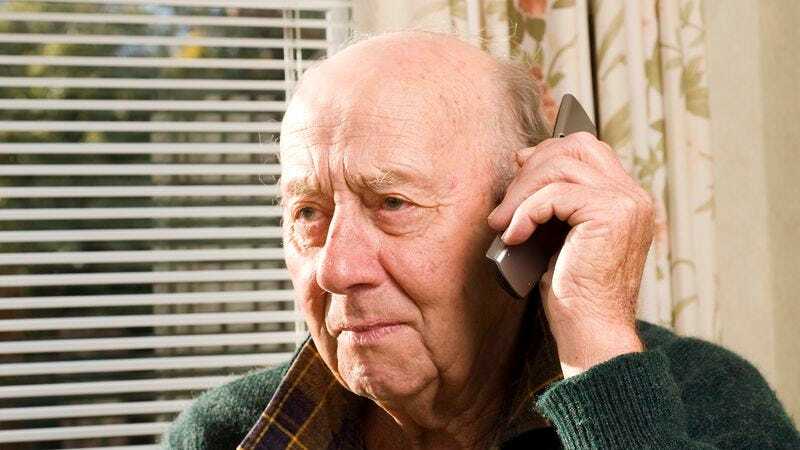 I knew my 89-year-old grandfather was at high risk due to his age, so I decided to do something proactive to keep his mind alert: I call him every day and tell him World War II never happened. This is something I knew I had to do for my grandpa. At first, he didn’t believe me when I said World War II never happened. “It did happen. I fought in it,” he would say. After a week of calling, he was spiritedly defending the existence of World War II for several hours a day. As he got more and more emboldened at my refusal to admit the war took place, I knew I was doing my part in keeping his brain strong. But Alzheimer’s is a relentless disease, and I knew I had to stay ahead of it by being more aggressive in telling him day after day that World War II never happened. I began calling him three times a day. One time, as he was refuting my claim that a man named “Adolf Hitler” never existed, I began to hear a slight hesitation in his voice, like he was starting to believe me, and I knew that was Alzheimer’s rearing its ugly head. He obviously needed more of my help. Calling three times a day simply wasn’t enough; it was time to fight his Alzheimer’s head-on! At first, he didn’t believe me when I said World War II never happened. “It did happen. I fought in it,” he would say. Because I love my grandpa more than anything, I took my efforts to the next level. I broke into his house while he was sleeping and took every book about World War II, all of his war medals, and every one of his photographs from the war. The next time I went to his house, I said if he was so sure World War II existed, then show me even one picture from it. As I saw my grandfather desperately searching for his World War II keepsakes for over an hour, I knew that this mental exercise I was giving him was keeping his mind active and disease-free. I do all sorts of things to keep my grandfather’s brain sharp. He goes on and on about how he served mainly in France, so I had special world maps made up that don’t have France on them and put them in his house. Then I asked him to point France out to me. Sure, it was expensive to get these maps made, but there’s no amount of money I wouldn’t spend to keep the mind of my grandfather alert. No matter what I do, I know that brain degeneration will eventually claim my grandfather. But until then I’m fighting it with everything I’ve got, and I think everyone else should do the same. Convince your elderly parents and grandparents that World War II (or the Vietnam War) never happened. Tell them that they are liars who have become so far gone as to have convinced themselves of their delusions. They may not thank you, but know that you are helping them live out the remainder of their lives with dignity.